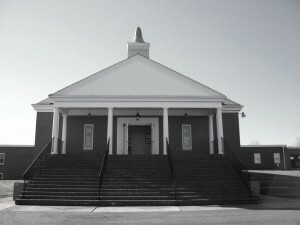 Fontaine Baptist Church is located on Fisher Farm Road, across Route 220 from the Martinsville Speedway. Head south on 220 for approximately 8 miles. Turn right onto Fisher Farm Road. The church is directly ahead on the right. Head west on 58 for approximately 6 miles. Take the exit for 220 and turn right (north). Continue north on 220 for 0.9 miles and then turn left onto Fisher Farm Road. The church is directly ahead on the right. Head north on 220 for approximately 3.5 miles. Turn left onto Fisher Farm Road. The church is directly ahead on the right. *Our small groups meet in various locations around our community. If you are interested in becoming involved with one, please contact the office for more details.